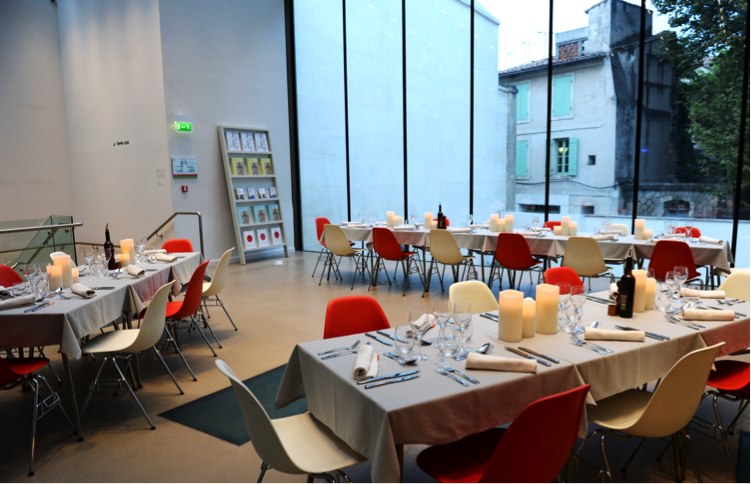 The Fondation is available for private hire outside normal public opening hours. We prepare a personalized quotation for each private function and are happy to help you create your event. As a guideline, private functions are subject to a flat-rate hire charge that covers the opening and utilization of the building and exhibitions, the provision of staff to discreetly supervise the smooth running of the evening (reception, security, maintenance and technical services), and the supply of materials and furniture for receptions and/or conferences. Our private and corporate sponsors and corporate partners benefit from free hire of the Fondation’s facilities. The hire charge does not include the costs of catering and other outside services, which will be quoted on the basis of the number of guests and rooms/spaces occupied. We are happy to provide you with a selection of external suppliers. The Fondation offers a unique approach to Vincent van Gogh, namely by exploring, through the medium of temporary exhibitions, the resonance of his art and thinking with international artistic production today. Thanks to partnerships established with public and private collections, the Fondation presents one or more original canvases by Vincent van Gogh all year round, in company with a changing selection of works by contemporary artists such as Yan Pei-Ming, Roni Horn, David Hockney and Urs Fischer, among others. This thematic exhibition pursues a free exploration of light, understood as a metaphor illuminating the artists’ respective relationships with the Mediterranean region, home to experimentation, and with modernism and postmodernism. It brings together outstanding loans of paintings by Vincent van Gogh, late paintings by Pablo Picasso, Giorgio de Chirico, Alexander Calder, as well as works by Sigmar Polke, Etel Adnan, Adolphe Monticelli and the musician Sun Ra. Hot Sun, Late Sun thereby seeks to outline a family of artists whose origins go back to Adolphe Monticelli – a member, alongside Jean-François Millet, of the pantheon of artists who inspired Vincent van Gogh. 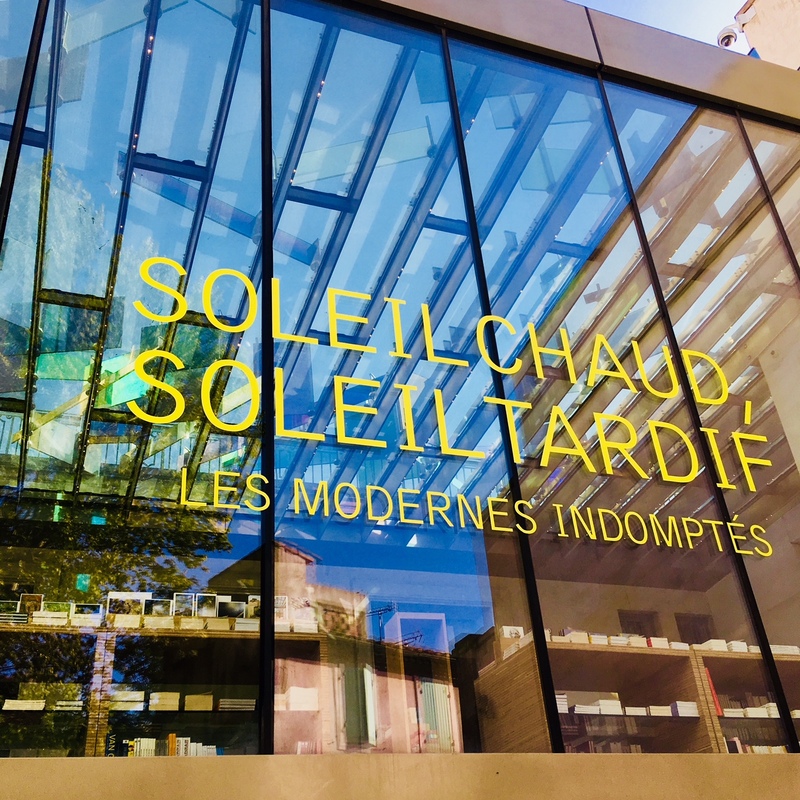 In another major event, the Fondation will continue to explore ambiguous light in its retrospective exhibi- tion, where suns appear as sunflowers, at times darkly foreboding. Following Alice Neel, we bring to the space the British artist Paul Nash (1889-1946), a major painter of the 20th century still under-recognized in France, whose works selected for this exhibition are imbued with a surrealist atmosphere and a sense of the finite, against a backdrop of death and war.